The Schoolcraft men’s cross country team took the competition by storm as they placed 13 overall of 24 teams in the National Championship race run on Nov. 9. The National Championship race was held in Holyoke, Mass. and the course is said to be one of the most difficult in the country. Gary Smolyak (Howard CC), first place, ran a time that was two minutes slower than his personal best. Ethan Levack led the Ocelots with his 33rd-place finish, which was in the 25th percentile in the nation. Levack ran a time of 29:54 on the hilly course with weather conditions that were sunny, but temperatures ranged in the mid 20s. His time was his second best of the season. Brian Duszkiewivz finished behind Levack with a time of 31:41, which was his highest placing on the team of the season. Captain Derek Puishes finished next for Schoolcraft with a time of 32:06 and Caton Hacker finished behind Puishes at 33:02. Joel Simpson rounded out the Schoolcraft men with a 33:21. Unfortunately there were no female participants from Schoolcraft in the National Championships. 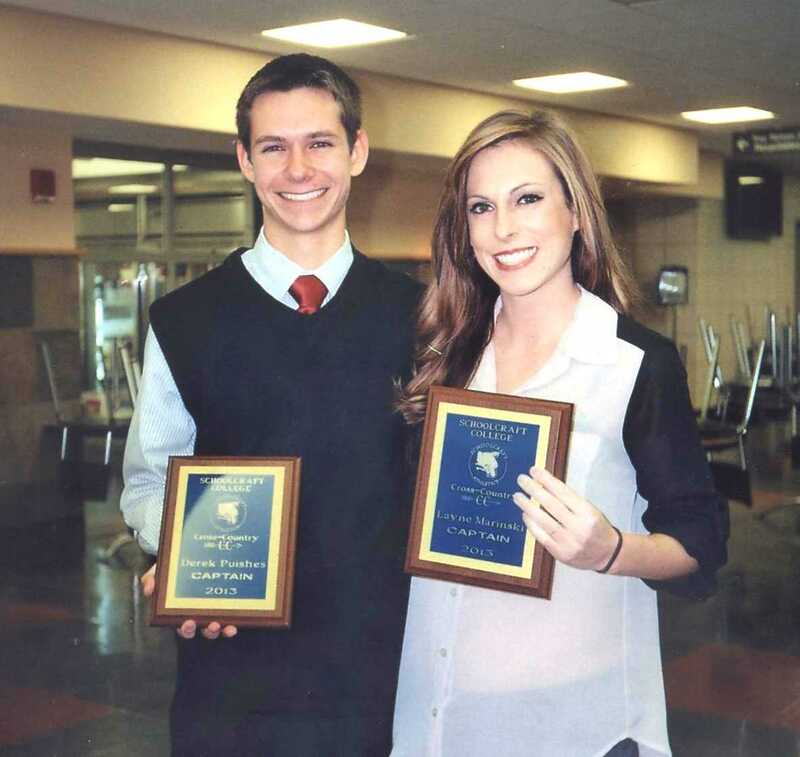 Schoolcraft honored their team captains at the annual award banquet on Nov. 20. Captains Derek Puishes and Layne Marinski earned awards from head coach Ed Kozloff in their leadership for their respective men’s and women’s teams. Puishes was the first-place finisher for the team’s 15 races over the past two seasons. Marinski was an All-American last season but fought injuries this season. Brandon Sutton won most improved runner. He comes from a basketball background and never missed a race the entire season. Ethan Levack was awarded Most Determined and Most Valuable Runner. He finished first in eight races and had the fastest 5K and 8K times of the season.